Neglected grey walls that peel away. Faded graffiti attempts and slogans. of the city, besides school buildings and is now taken as "given". interest for the urban environment, but also to those who embrace it. 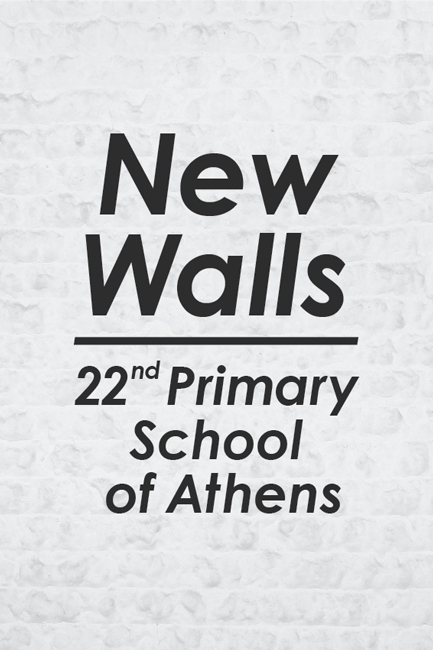 of the intervention, whilst it makes a direct reference to the walls as "new"
to be in the position to be considered "new". such an action may return over time.